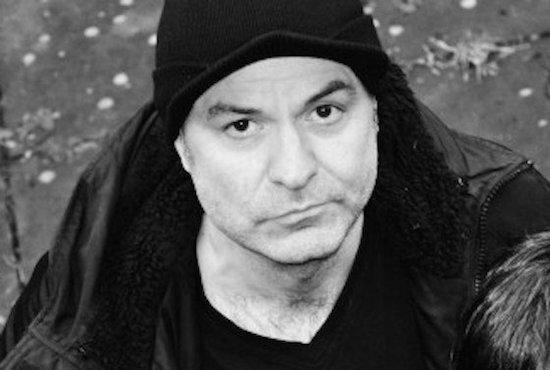 The news about the Chameleons drummer John Lever, who has died of a sudden illness, broke this morning my time, out here in California, and made the rounds on social media, of course. I heard about it from another source, broke my own general hiatus from Facebook and Twitter to share it. A friend, Reon Morbius, offered this comment: "Had the brief privilege of contacting Mr Lever (But never meeting him in the flesh or seeing The Chameleons at the peak of their powers with him helming the skins). Very sweet and straightforward as was his wife Lisa….Sure I'm at a loss as a fan of a band who irreparably changed my life, but I can't help more than feel greater loss for those John knew and left behind." So let that be said first, that a son, a husband, a father and a close personal friend is gone and that at a remove - which is all I ever knew of him - the grief felt elsewhere is secondary. Mark Burgess noted the family loss first, added his own shock and said he’d be offline. That’s a level of true close personal grief. And I can say this even having cried already today. A lot of people miss the Chameleons. For the longest time I thought I had missed them. Cult bands (horrible tag, but there we are) are doomed too often just to be known after the fact and that was the case with me, I thought. It was all down to Jack Rabid’s reviews of their work in the third edition of the Trouser Press Record Guide, the first one I ever picked up, back in 1989, just finally getting to grips with ‘alternative’ music as such - first year at UCLA, starting to do college radio, digging a little deeper beneath the surface. He made it sound like there was this absolutely fantastic band that I had just missed. So began the obsession. It was interesting, telling, how in America it all seeped out a bit, a fandom that suddenly made you feel a little less alone when you realised that somebody else knew them, and really, really loved them. They did tour here and I’d missed that as well, back in 1986. Otherwise everything about them, whatever their particular scene contexts or their status or connections over in the UK, it was all a somewhat murky mystery from my angle. There just seemed to be this great band, never famous, with this slew of astounding songs that made me think of being alive. I’d got U2 out of my system by then, I’d fully appreciated Joy Division by this point, and then there was this. I bring all this up because a few years later I got lucky, then I got luckier, as did a lot of us. First Mark Burgess kept recording in the early nineties, with John, then brought him and others over on tour. So for the first time I saw John play that break - namely the one, or the ones rather, that open 'Swamp Thing', a pulse and a series of fills and hits, something stirring to life much like the titular character perhaps but, given the more open-ended metaphor of the lyrics, maybe more like something else. That was something else, and so was the whole set by Mark, John and the Sons of God, a mix of solo and Chameleons songs, a moving time. A few years later on the same stage - the Troubadour in Los Angeles - I was all the more amped because it was Mark and John again but it was also Dave Fielding and Reg Smithies; it was the Chameleons, the original four. Great as that Sons of God set was, this was the original quartet locking in, greater than the sum of their parts is the only way I could describe it. Only that combination could seem to hit it just right, just spot on. Then they came back again to tour for a new album and I saw them, maybe three times? Four? Basically I saw them as much as I could in the space of about a week. There was a DVD from that tour, Ascension; I can only highly recommend it. Really all the footage and recordings that are out there throughout the group’s existence, I recommend them. In earlier days I might have just simply said, “No, you have to hear this and watch this” and take it as implied that I am saying this still at quieter volume. So the Chameleons were four musicians coming together and sending it all to a higher level, the songs they wrote (and often covered, very well). If I broke down all the reasons why I’d be writing a book, and I’m here to talk about John Lever. Others will speak much more thoroughly and knowledgeably about his background, upbringing, early inspirations - I still to this day seem to be in the headspace where I hold them just a little apart in my memory, maybe even a little more than human, rather than less. I think of drummers who started just a little before him, like Budgie, say, or Mic Glaisher of the Comsat Angels, or John Maher of the Buzzcocks - punk, or post-punk if the term still means anything, but who had a certain precision in the swing, who knew just where something should go exactly. Frenetic when needed to be but always not only serving the song but lifting it up, taking it forward, taking it elsewhere. What makes a Chameleons song live? Not live as in 'live on stage', but that too if you like. No, I mean live. I already mentioned how their songs seemed to capture a kind of state of being alive, not just simply present. So John Lever’s skill at making a song live - Chameleons or not, because he could do this and did do this with others or in other combinations, as noted - lay in how he played, captured those moments. It was never just bash and crash or simply keeping time. It sent you up to the heavens, it exploded onto the field, it was a run, a turn, a stop, a quick motion forward. It was a steady flow of crackling energy, maybe with a halt or two, but then with a return, a brawling that was never overbearing. It didn’t want to crush you, it wanted you to embrace it and ride with it. Consider how 'Second Skin', at least in its studio version, starts gently with that synth part but then really starts with the drums; commanding, compulsive, propulsive. The rolling up and down hits that punctuate and determine the motion of 'Soul in Isolation'. The way percussion takes that snaky riff on 'Return Of the Roughnecks' and makes everything sound absolutely massive. The rising-sun atmosphere of 'The Healer', as enveloping as one could want, drums of course heralding a sonic dawn. The easier feeling - but no less suddenly tense at points - of the later 'Dangerous Land', underscoring lines like 'Love is real!' with a feeling in the beat that it really, really is. It all sounds, truly, alive, not dead. These years of inevitabilities and inability to hand-wave as one famed musician after another leaves this world - no less the case than they ever were, but all the more pointed now for some of us, perhaps - seem to be examples of compounding grief at times. A distant grief for most of us, and even those of us who know won’t be as numerous as those who mourned, say, Prince, or Lemmy, or Bowie. Like I said, I always hated that cult band tag. I don’t want the bands that moved me just to be known only by me, or a clutch of people. I don’t want the performers responsible for such marvellous creations to be a mere footnote somewhere. The whole world should have known John Lever’s work. I hope, one day, it will.